Montana Department of Labor Commissioner Pam Bucy joined Governor Steve Bullock in the Capitol Tuesday, September 5, to release the Labor report. The Montana Governor’s Office released its annual labor report today, touting economic growth and strength along with a low state unemployment rate. 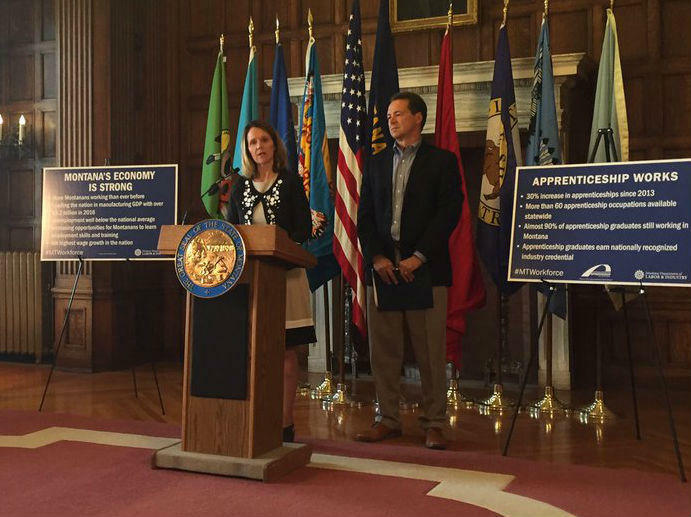 Montana Department of Labor Commissioner Pam Bucy joined Governor Steve Bullock in the Capitol Tuesday to release the report. “Montana has more workers than ever before. 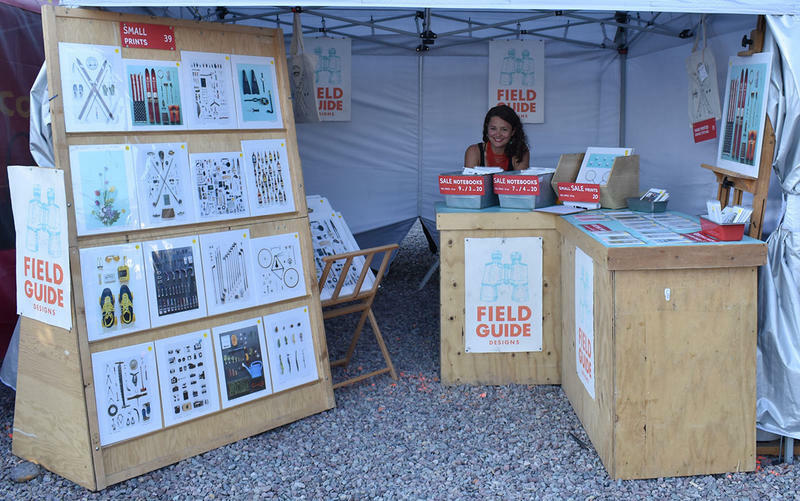 And over the last year the state added more than 6,500 new jobs to the economy,” Bucy said. According to the labor report, Montana’s unemployment rate last year was 4.1 percent, the 16th lowest in the nation. “It’s a good report,” Bryce Ward said. 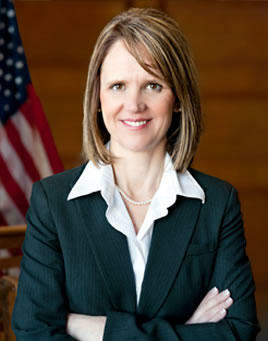 Ward is the associate director of the Bureau of Business and Economic Research at the University of Montana. “It suggests that Montana’s economy is relatively healthy or at least the labor market. We see low unemployment, we see rising wages. 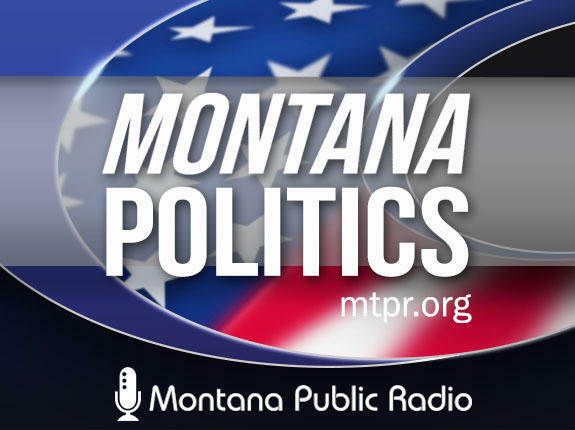 There’s lots of good stuff to look at if you’re trying to evaluate the health of Montana’s economy, at least in the moment or in the recent past,” he said. Montana’s average annual wage increased by 1.6 percent last year to just under 41,000-dollars, the report says. Montana’s average wage is 76 percent of the national average. In the future, the labor report says Montana is headed toward a labor shortage as the Baby Boomer generation retires, leaving the smaller, younger generations unable to make up the difference. The state Department of Labor and Industry report says more workers could be found by increasing migration to the state, increasing the retention of graduates from Montana colleges and updating employment practices to attract more workers into the labor force. Last month, Department of Labor Commissioner Pam Bucy announced she would leave her post and move into the private sector. Her last day is Thursday. An interim replacement is expected to be announced later this week. 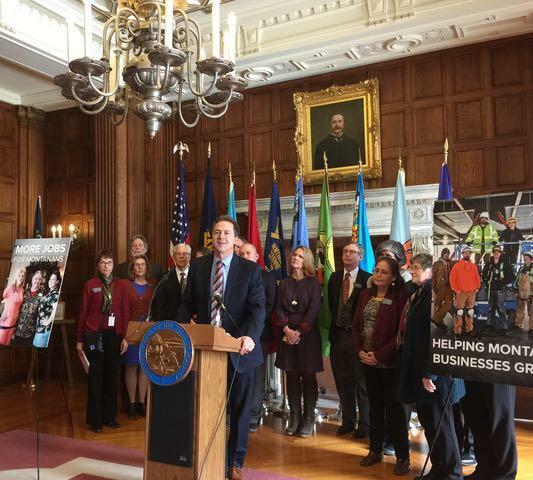 Governor Steve Bullock urged lawmakers to pass bills to help businesses grow and expand. He says one way to do that is give businesses an incentive to hire apprentices. It’s an idea that has been embraced by both political parties.